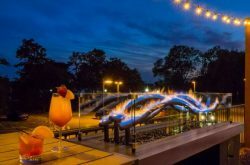 For quite a while, Williamsville seemed to have the same old bars which maintained a loyal following and drew a steady crowd. Theres nothing wrong with the same old – it’s comfortable, reliable, and usually go-to place are just that for a good reason. 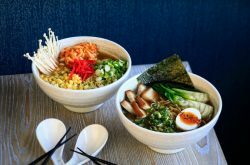 But if you haven’t noticed we’re huge fans of new and exciting, which is why we were thrilled to hear about a new brewery opening in Williamsville, promising to amp up the variety in the village. 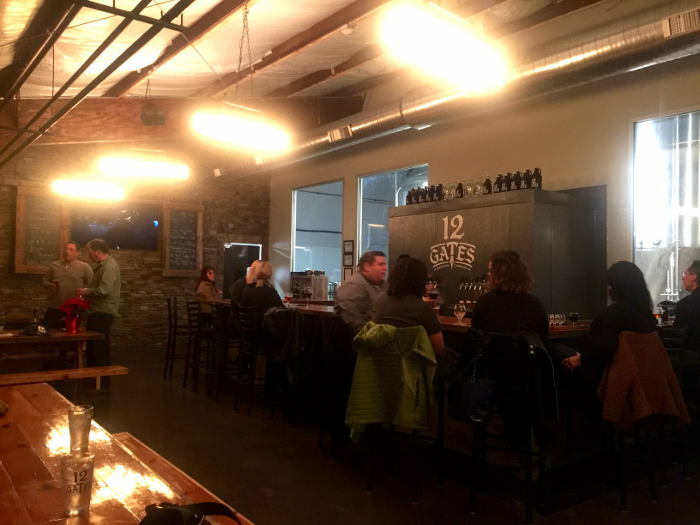 12 Gates Brewing Company, recently opened on December 12th, 2015 by a group of eight owners according to Business First, is a bit difficult to find as it’s tucked way back off the road. 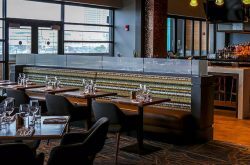 But once you do you’ll likely be greeted by friendly bartenders, soft lighting, reclaimed wood decor, and a glass backdrop behind the bar displaying the vessels that brew. 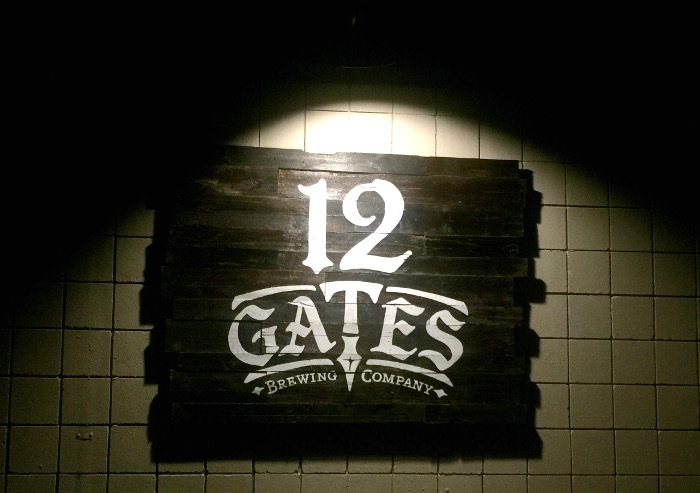 Head Brewer Shawn Kerr brings home brewing experience to 12 Gates and showcases it by crafting unique recipes for the new brewery’s lineup. 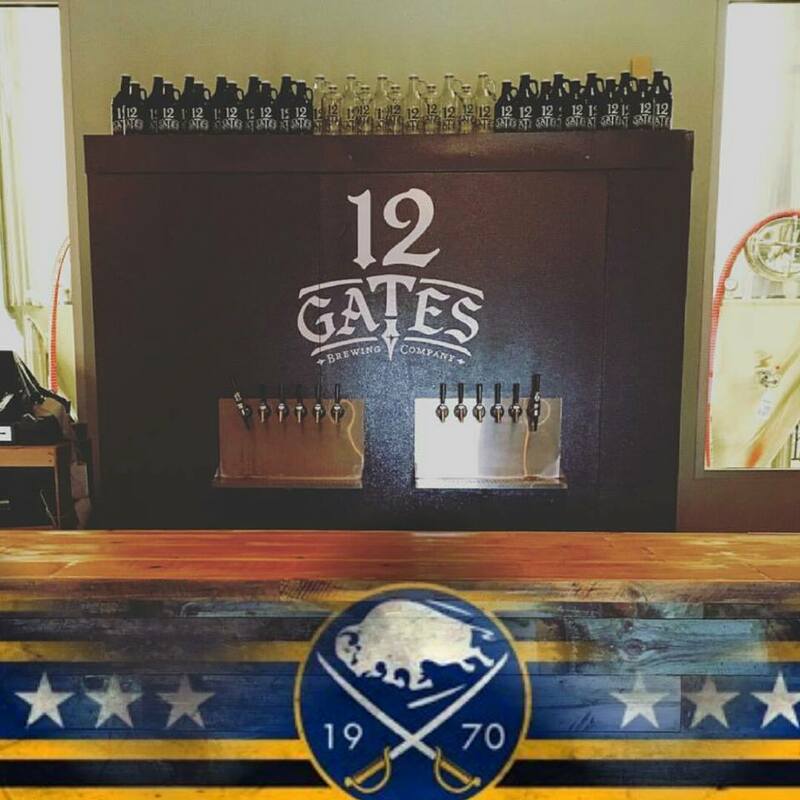 The brewery is currently featuring 5 beers at both at their tap room at 12 Gates and at bars and restaurants throughout Erie and Niagara counties including their West Coast IPA, Session IPA, Under the Southern Cross IPA, 12 Gates White, and Coffee Porter. 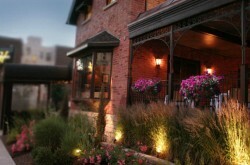 Enough logistics, let’s talk beer. The West Coast IPA packs a punch of Citra hops giving the beer tropical citrus, grapefruit, and lemon flavor points making the aroma very pleasing. The Session IPA certainly isn’t lacking in flavor with its ingredients including Equinox, Ella, and Rakau hops that hold a hint of lime, orange, and orchard fruit. Under the Southern Cross IPA, or simply just USC, mixes a powerful bitter, hoppy flavor with lime, tangelo, and stonefruit notes. 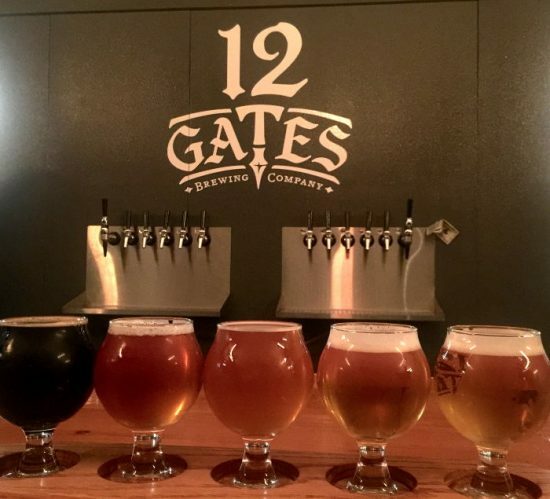 While you can choose just one or two (or 3) beers to indulge in while visiting 12 Gates, we recommend getting a flight for a mere 7 bucks and tasting all 5 beers they have to offer. 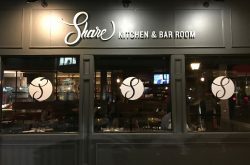 In addition to their 5 house brews, the beer list also features a few guest taps, which at the time of our visit included Founders Oatmeal Stout, 42 North Saison, and Resurgence Sponge Candy Stout. 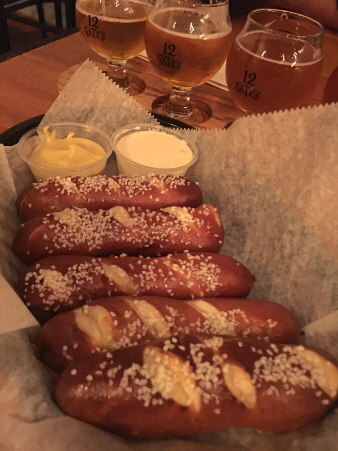 Their food menu at 12 Gates Brewing consists of snacky items similar to what you might find at Resurgence or Hamburg Brewing Co. Bavarian pretzels sticks, a must for pretty much any brewery, served with tangy Dijon mustard and beer cheese really hit the spot when paired with my flight. Also great for snacking are their tortilla chips served with salsa and queso along with a selection of Panini sandwiches to choose from. Pro tip: Ween you turn onto the street they’re located on (Earhart off of Wehrle Drive), don’t forget to look for the signage leading you to the seriously tucked away brewery. 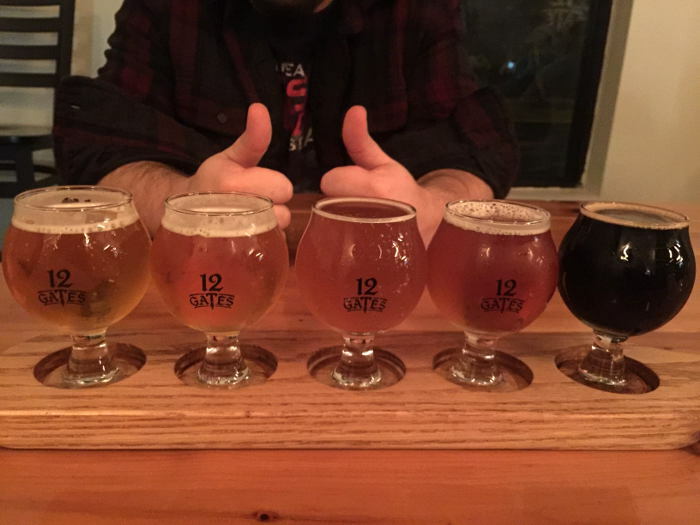 For more info on 12 Gates Brewing Company, visit their website and follow them on Instagram, Facebook, and Twitter.